4. 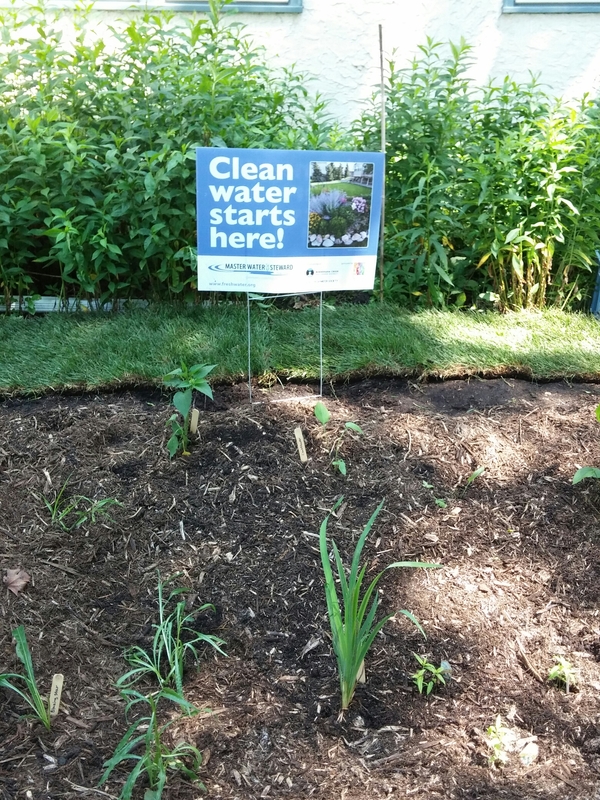 Rain gardens often use native plants that bees, birds and butterflies love. 1. Remove the sod and dig a hole. It must be at least 10 feet from your house and where you can direct a drain-spout, driveway or sidewalk to drain rain water. Most rain garden holes are about 12 inches deep with wide 3 feet slanted sides surrounding the garden. The bottom of the garden should be flat. 3. Cover the garden with a layer of several inches of double or triple shredded mulch. 4. Plant deep-rooted plants. Most of the plants you love will work matching the degree of sun and shade. Also, always work to have a variety of plants that bloom at different times for the bees and butterflies.The bottom plants need to be water tolerant. Some bottom plants I have used are: liatris, swamp milkweed, turtlehead, Culver’s root, blue flag iris, sensitive fern, cardinal-flower, blue lobelia and many kinds of sedges. 5.. Water–If it is dry, you need to water the new plants for the first couple of months. From the Washington Post on managing water in your yard. Previous Previous post: We Love Hummingbirds! Next Next post: Meatless Monday, Think Climate and Waste!